The phrase real estate is a noun. Real Estate means (1) property consisting of houses and land. The following articles and web pages elaborate on the phrase real estate. Check out this real estate investment directory for information about real estate investments and real estate investing services in the United States. The photo on this page depicts gold coins and a house, symbolizing a real estate investment. Browse this real estate appraiser guide and directory to learn about real estate appraisers in the United States of America. The photo on this page depicts real estate appraisal documents and a pen. Visit this page for recent real estate news headlines and summaries, with links to real estate news articles from selected news sources. Home Gain, with headquarters in Emeryville, California, is a provider of online marketing solutions that connect real estate brokers and agents with home buyers and sellers. 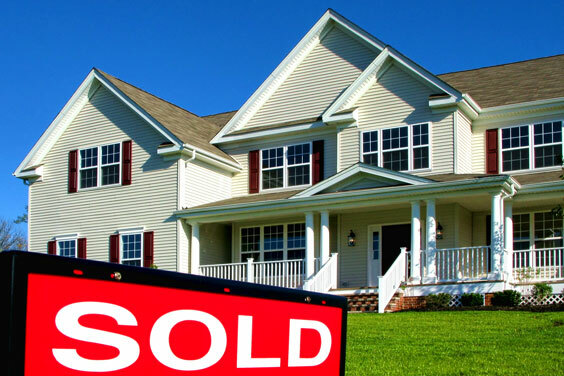 Home buyers can find houses for sale, find a real estate broker, and determine the value of their current home. Launched in 2006, Move.com is a comprehensive real estate search engine. Move.com powers the Home and Real Estate section for AOL and the House and Home Channel for MSN. Welcome Wagon is also featured on Move.com, where visitors can search millions of listings of homes for sale or rent. Launched in 2006, Realtor.com is a comprehensive real estate search engine with access to its own exclusive listings plus access to content from web. The website is widely consulted by both house buyers and renters, as well as by real estate agents. On the site, users can search for houses, new home construction, and rentals by location. Also available is information about moving and home finance. This site provides information about houses all over the country, including foreclosures, real estate auctions, bank-owned homes, and for-sale-by-owner properties. Read about Multiple Listing Services and new construction; find tips about buying a foreclosure and selling your own house as well as determining house values, finding a real estate agent, and financing a home purchase. On Homescape users can find a home to buy, sell a home, and find out about financing. Sellers can do a search to find out what their own home is worth. Homescape takes its listings from 125 newspapers nationwide and helps buyers connect with realtors in their local area. This site, an ebay company, offers free rental listings for houses, apartments, condos, and roommates. There is also information about moving and a place for managers to list their rental properties. Searching is by location, price, and type of rental wanted. The following articles provide recent real estate-related news. Reuters. Wednesday, 24 Apr 2019 15:43:33 -0400. ABC News. Wednesday, 24 Apr 2019 13:10:30 -0400. Zacks Equity Research. Zacks. Wednesday, 24 Apr 2019 11:31:00 GMT. Newsmax. Tuesday, 23 Apr 2019 10:03:57 EDT. By Jerry Kelly, Communityvoice. Forbes. Tuesday, 23 Apr 2019 11:30:00 +0000. Tim Arango. New York Times. Monday, 22 Apr 2019 23:20:19 GMT. CNBC. Monday, 22 Apr 2019 18:30 GMT. The following pages provide more extensive real estate news. Recent news stories about the topic real estate, aggregated from diverse, English-language news sources. Recent English-language tweets that include the hashtag real estate. The following digital image illustrates the phrase real estate.